Eray Carbajo (Inanc Eray, Pinar Guvenc, Gonzalo Carbajo and Marco Mattia Cristofori) is awarded first place at RESHAPE15 | wearable technology competition 2015 with its innovative swimwear design - called the Sponge Suit - that is environmentally proactive, economically sustainable and intelligently manufactured combining cutting edge 3D printing and nano-scale clean-tech material (super-hydrophobic carbon based material called the Sponge). Eray Carbajo is an international architecture and design firm with studios in New York City and Istanbul. 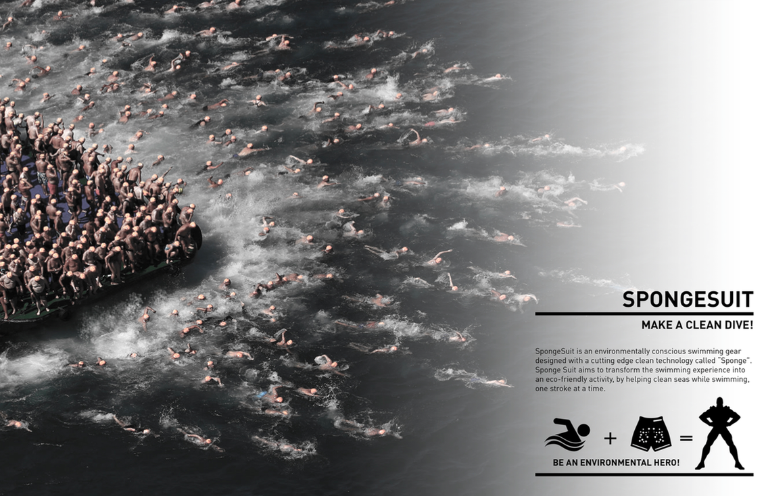 Founding Partner Inanc Eray stated "Sponge Suit aims to transform swimming into an eco-friendly activity, by help cleaning the seas one stroke at a time." Sponge Suit is designed in two main parts. 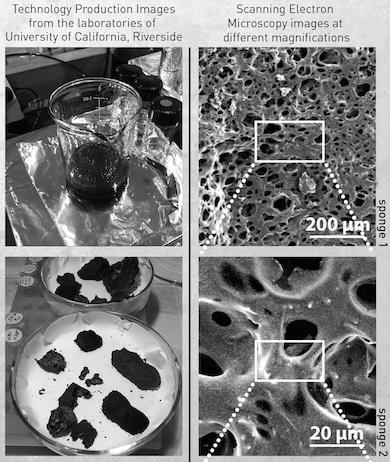 The filler material Sponge - developed in collaboration with University of California Riverside labs - is a super-hydrophobic carbon based material with multi-model porosity which allows the technology to be an extremely light-weight yet a strong absorber. The net-like shell surface is made of 3D print elastic plastic, designed with various iterations of the same undulating form to mimic the Sponge’s nano-scale pattern. This special material has the necessary flexibility to fit the body and the sufficient strength to encapsulate the filler material. The competition Reshape15 has been established to promote research, education and production of digital ideas. The Award Ceremony will be held at Maker Faire Rome 2015, on 16 – 18th October, followed by an exhibition of all the projects submitted to RESHAPE15.